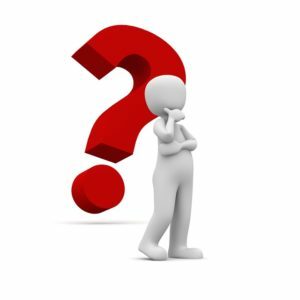 What is the minimal dose of MAP required to infect calves by age? Why are young calves much more susceptible to MAP infection that adult cattle? What proportion of MAP-infected animals recover (clear the infection), if any? What factors affect MAP virulence (capacity to cause infection and disease)? Continued progress in comprehending host-MAP and MAP-environment dynamics is being made. 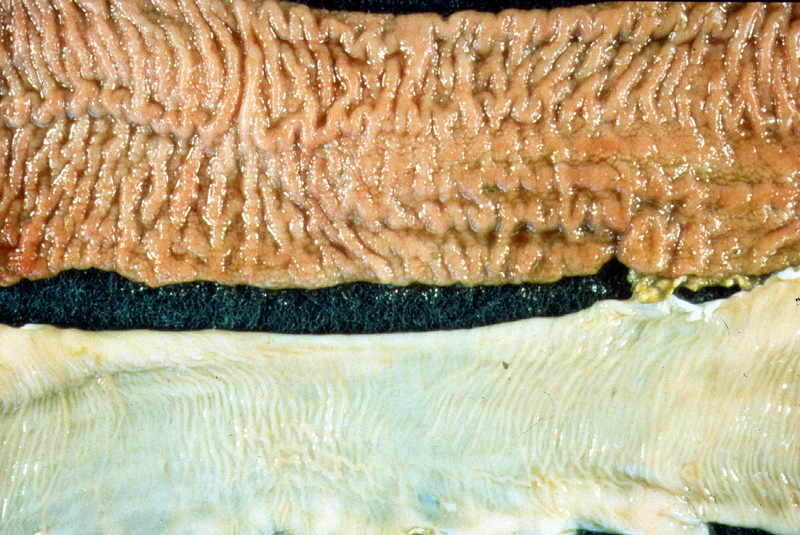 This page summarizes our current knowledge about the impact of a MAP infection on beef cattle. 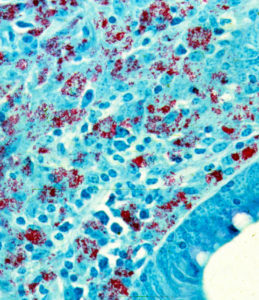 Peyer’s Patches – a common site of entry of MAP bacteria into the host animal. The target for MAP is the bovine gastrointestinal tract. The most distal section, the ileum, is the primary site for infection. Calves swallow the organism (via MAP-contaminated milk, water or feed) which then invades through specialized ileal tissue called Peyer’s patches to enter immune cells (macrophages) in the tissue. This microscopic infection of macrophages in the small intestinal persists for years without triggering any systemic response from the animal’s immune system i.e., the animal is MAP-infected but isn’t sick and isn’t responding to the infection in any visible way. At some point MAP spreads to lymph nodes flanking the gastrointestinal tract (the mesenteric nodes); later, for reasons not yet understood, the cow loses its battle with MAP and the infection spreads throughout the animal. Clinical signs of Johne’s disease usually begin to appear at this point, and the cow only now, often years after infection, reliably produces the signal of the infection detectable by blood tests (anti-MAP antibody in the serum and milk). Throughout this long sub-clinical phase (estimated at 2-10 years) when the cow is apparently healthy although MAP-infected, it is capable of transmitting the infection by shedding MAP bacteria intermittently in milk and manure. When observable signs of illness finally begin, the clinical stage of infection, the rate and amount of shedding increases and the animal represents an ever greater risk to its own offspring and other young animals. MAP employs a variety of strategies to make sure it gets to where it can persist, and more importantly replicate, in an animal. One of these strategies is to use a component of the animal’s defense system for its own home. 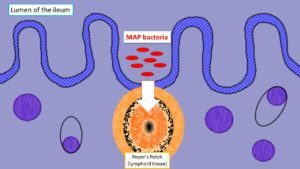 After having been swallowed and travelled down the small intestine, MAP invades through the intestinal wall with the aid of “M” cells that cover the Peyer’s Patches and sets up residence within macrophages (specialized white blood cells) localized in that region to fight infection. Through complex cellular signaling and cytokine expression, MAP somehow turns off the bacteria-fighting mechanisms of the macrophages and instead creates a hospitable environment for itself. Far from alarming the immune system, this invasion seems to be ignored. Other than a small accumulation of inflammatory cells, no detectable lesions appear at this early stage of infection. At some point, this intracellular pathogen triggers inflammation: a protective tissue response to injury or destruction of tissues, which serves to destroy, dilute, or wall off both the injurious agent and the injured tissues. Through production of various cytokines (gamma interferon being an important one) the body begins this cell-mediated immune response. More macrophages are recruited to the site of infection and form an ill-defined, diffuse type of granuloma, an aggregate of living, dying and dead MAP and macrophages. This lesion progresses and regresses, but remains a localized battle in the gastrointestinal tract. As more MAP enter and replicate in the macrophages however, and as more cells are recruited to fight them, the lesion expands. This granulomatous inflammation spreads, and the MAP-infected macrophage may then depart the gastrointestinal tract for the neighboring lymph nodes, and be spread through the blood to other organ systems. In many respects the lesion resembles that of leprosy, caused by Mycobacterium leprae, more than that of tuberculosis, caused by Mycobacterium tuberculosis. 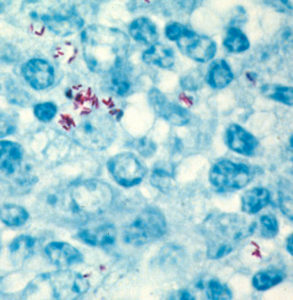 As in leprosy, some lesions may have myriad acid-fast (red-staining) bacteria. Such lesions as shown on the right (red) are referred to as lepromatous or multi-bacillary. Note: the abundance of MAP in lesions is variable both within and among animal species. Australian researchers report that in roughly 17% of sheep in advanced stages of MAP infection few or no MAP can be seen, even though the histopathology is consistent with Johne’s disease and MAP can be detected by culture or PCR. Thus, no visible evidence of MAP by histopathology and acid-fast staining does not rule out a MAP-infection. This uncontrolled coalescing inflammation is the primary reason Johne’s disease is fatal. The gastrointestinal tract is severely damaged and is no longer capable of absorbing nutrition. It is at this point that the animal begins to show signs of diarrhea or weight loss. In this latter stage of infection the intestine is usually thickened, corrugated and reddened; regional lymph nodes are swollen and pale. Johne's disease is a chronic bacterial infection of the intestine. Invasion by MAP starts in the Peyer's patches of young animals. Years of granulomatous inflammation eventually lead a markedly thickened intestine causing the typical signs of weight loss, and diarrhea.